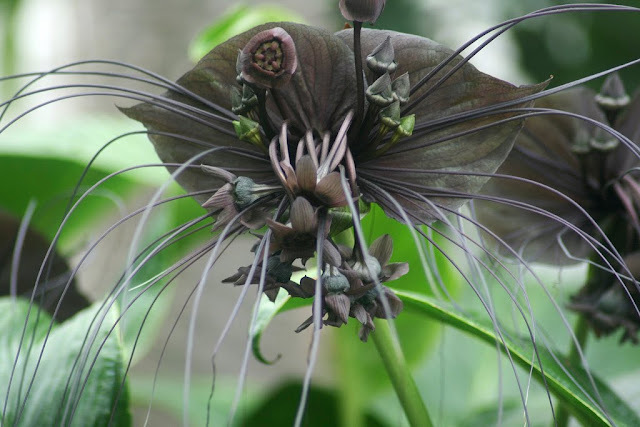 Is it too much of a leap of the imagination or does the Bat Flower bear a resemblance to a certain extraterrestrial species featured in the science fiction franchise? Here at Kuriositas we were immediately reminded of the alien’s vicious mandibles and the shape of the lower part of its face. The plant itself has much more down to earth origins in fact. As the Predator series of films had not been made at the time of its discovery the plant was first christened the Bat Flower – and you can see why. 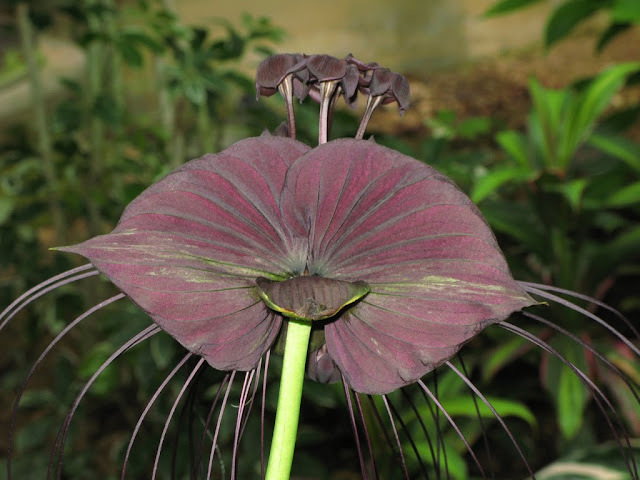 This is an incredibly unusual looking species with its black bat-shaped flower. 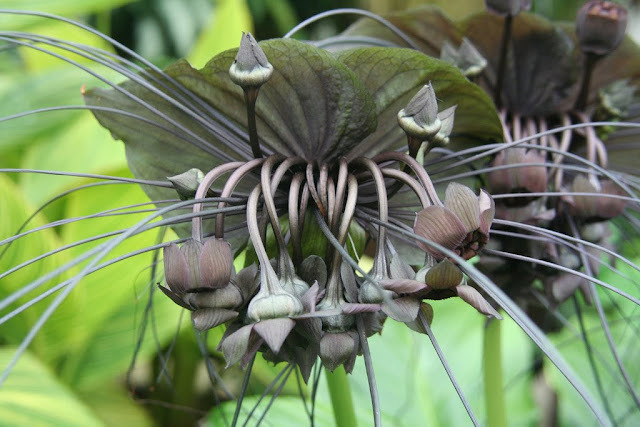 The flowers themselves can grown up to twelve inches across and the ‘whiskers’ that you can see are known to grow up to thirty inches. It still manages to look other worldly from the back. 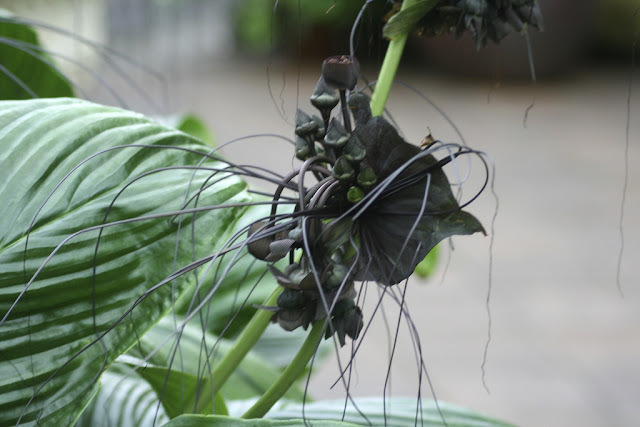 Altogether the bat flower is one of the spookier plants we have come across – something that Morticia Adams might like to have in her conservatory. There is certainly something of the triffid about them too, but the fact is that the wild variety of this plant species can be found in the Yunnan Province of China. It is also found in Thailand and Burma. Since the publication of this article we have had another suggestion - and one which is pretty good too! 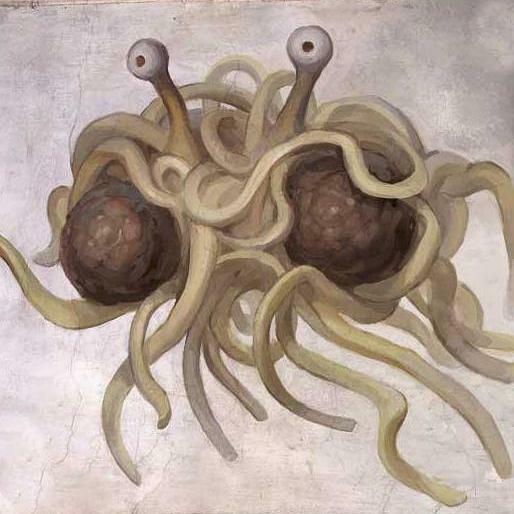 So good in fact that it may well be better than our original suggestion (shucks). 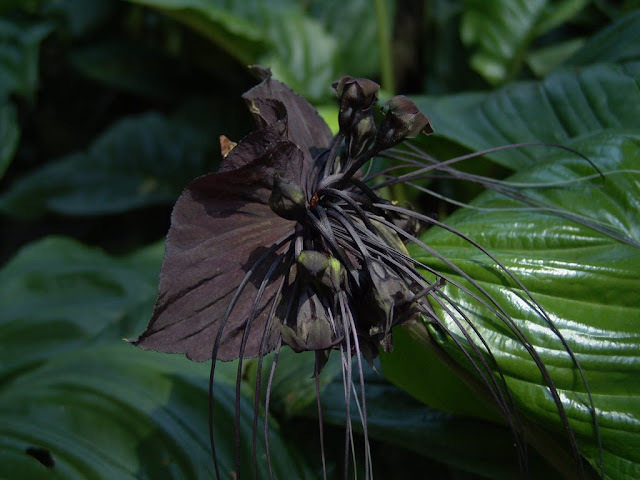 If you do not think that the Bat Flower looks like Predator then how close a resemblance do you think it has to the Flying Spaghetti Monster. 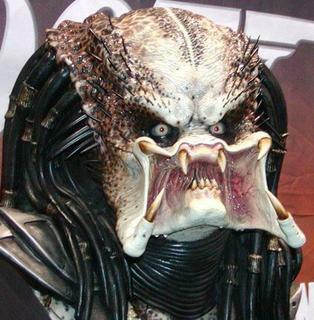 Separated at birth, or what? Which leaves us to conclude that all three species may be possibly related - even though one is a plant, another an extraterrestrial and the third a deity. 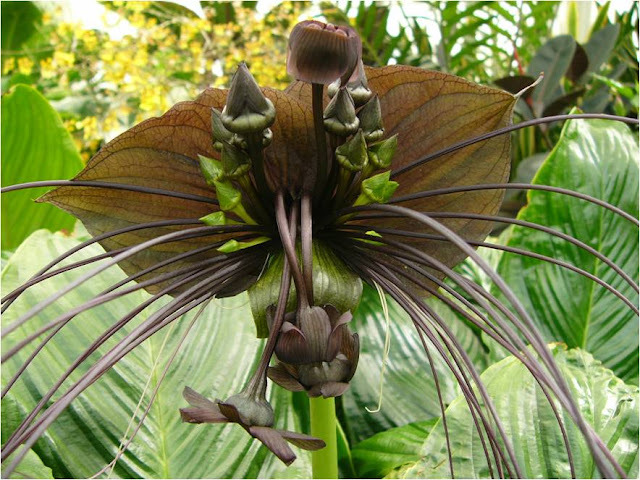 The Bat flower or Tacca chantrieri to give it its Latin name is an unusual but increasingly popular addition to gardens but grown best in the wild – often up to thirty six inches. They were first introduced to Europe and the Americas at the turn of the last century when it was grown specifically for its fabulous foliage. 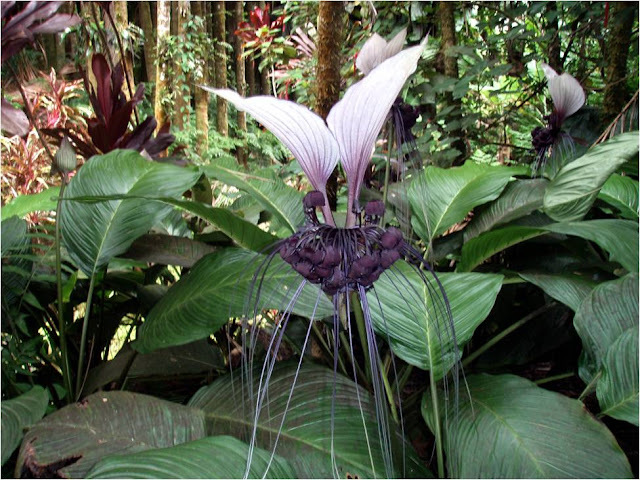 Today it is the bizarre flowers, with their dark purple, almost black color that attracts enthusiasts. They are a little sinister perhaps and might even be out of place at a funeral such is their macabre appearance, particularly the shoe-lace like attachments that dangle from them. 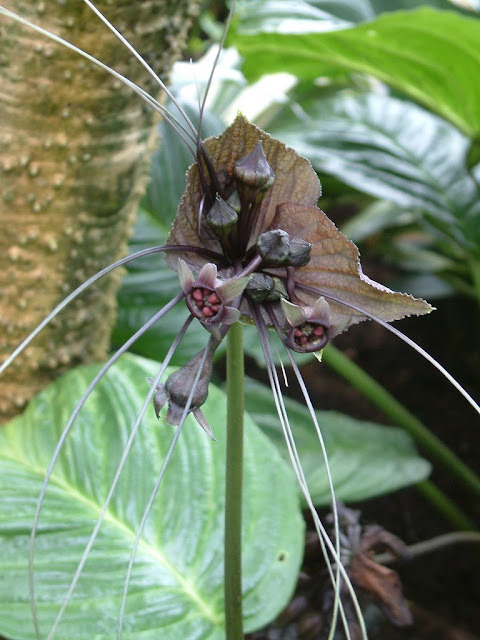 It would be no surprise to discover that John Wyndham - once he had seen a group of these plants flowering together - came up with the idea for the triffids. There is definitely a feeling of being stalked (forgive the pun) in their presence. 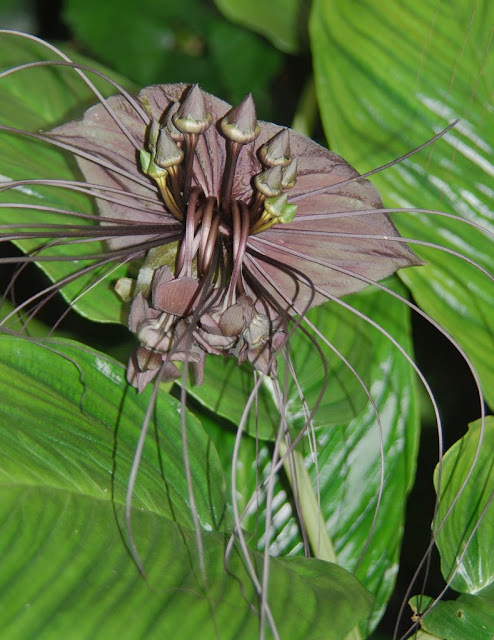 You may hear of them as Tacca plants – and this is the vernacular name for this species and a number of close relatives. 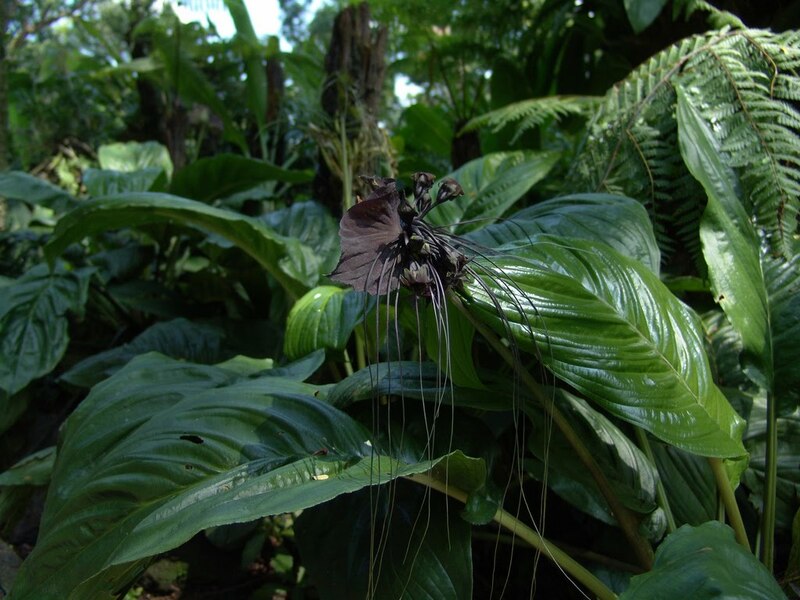 As it is a jungle plant it grows best in shaded areas but does better outdoors (in temperate climate) than in the stillness of a greenhouse where it dislikes the lack of breeze. As the flower cluster rises above the leaves, the overall effect is alien, stunning and perhaps just a little disconcerting. 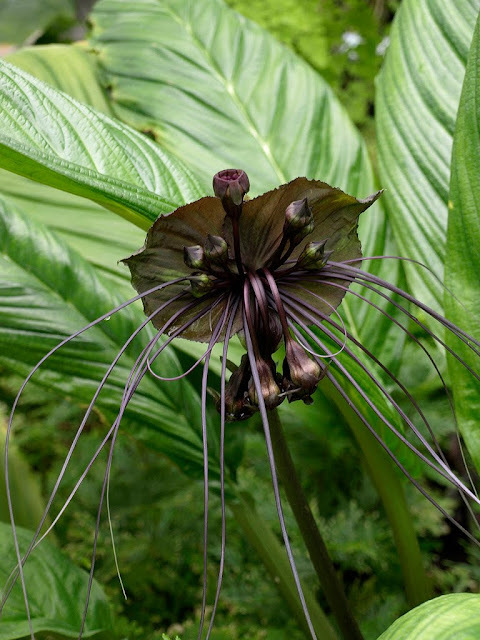 A flower with such features could be imagined easily to have triffid like qualities – but the Tacca is completely harmless and will certainly never surprise you with a slap from a stinger (even though it looks like it might!). 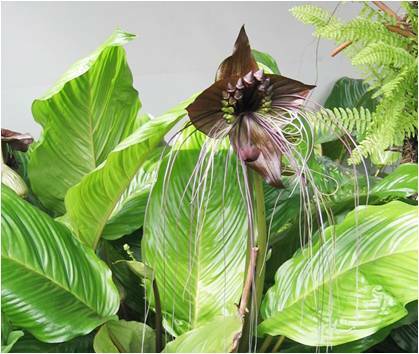 Tacca can be propagated by root division or – if you are very patient – by using the seeds. The plant flowers usually after it has produced three or four full sized leaves. Each plant can produce between six and twelve flower stems from late spring to August. When the seed capsules appear, they too look somewhat alien. They must be left where they are on the plant until they split – and this can take up to eighteen months. Once the seeds are cleaned of the pulp and air dried they can be planted. However, they can take almost a year to germinate – so they are not for the impatient gardener by any means. As a footnote, it has a much rarer relative, the white bat flower. Which one do you think is spookier?